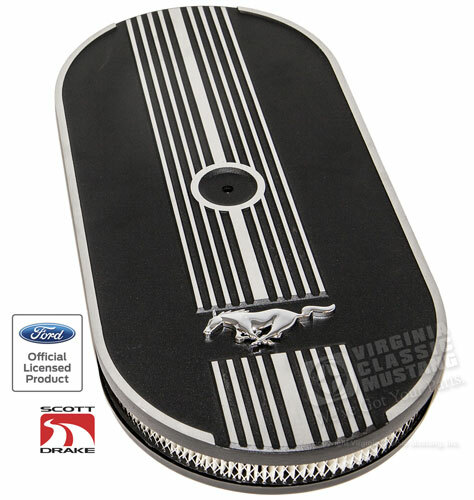 This new Mustang Oval Air Cleaner Assembly features nice aluminum fins with a chrome running horse emblem. Aluminum lid with stamped steel base will fit 2V or 4V single V8 carburetors. Complete with mounting hardware and filter.